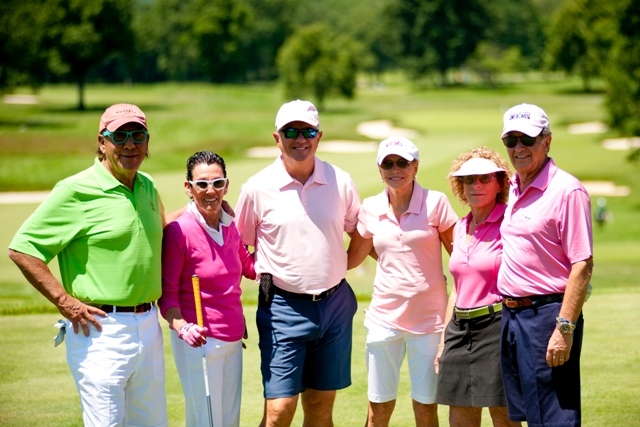 The Cure Breast Cancer Foundation (CBCF), a Clifton, N.J. – based not-for-profit 501(c) 3 charity, is set to build on one of its most successful fundraising years on record with a another busy schedule of events in 2015. CBCF recently announced its 2014 charitable efforts ended with $725,000 raised to support the breast cancer research efforts under the direction of Dr. Larry Norton, CBCF’s scientific advisor, who is the Deputy Physician-in-Chief for Breast Cancer Programs and the Medical Director of the Evelyn H. Lauder Breast Center at Memorial Sloan-Kettering Cancer Center. Fully 100% of the net fundraising proceeds received by the foundation are donated towards research projects coordinated by Dr. Norton who is leading the fight against breast cancer with groundbreaking work that addresses cases when the disease spreads to other parts of the body where it can currently be controlled, but rarely cured. Additional spring and summer fundraisers include Bloomingdale’s Style and Wellness in support of CBCF at the Mall at Short Hills on Sunday, on May 3rd and An Emily and Ashley Trunk Event benefitting CBCF at 215 East 68th Street in New York City on Thursday, April 30th. “Last year we surpassed the milestone of $5 million raised since launching the foundation in 2007,” notes Andrew Abramson, Treasurer and Co-Founder of CBCF. “The outstanding participation and generosity of our business partners, volunteers and donors has been a key component in providing funds to assist the work of Dr. Norton. We’re incredibly thankful for their support and continued dedication which has resulted in the impressive progress being made at Memorial Sloan-Kettering Cancer Center and other national and international research centers. CBCF hosts a number of fundraising events and informative seminars throughout the New York metropolitan area and is aggressively expanding its outreach throughout the United States and beyond. For more information on the CBCF and a full schedule of events, please call (973) 471-CBCF (2223) or visit www.curebreastcancerfoundation.org. The Cure Breast Cancer Foundation (CBCF) is a Clifton, N.J. – based not-for-profit 501(c) 3 charity devoted to fund research on the growth and spreading of breast cancer cells, also known as the Self-Seeding Theory, at the Memorial Sloan-Kettering Cancer Center in Manhattan and other national and international cancer research facilities under the direction of Dr. Larry Norton, who serves as the Foundation’s Scientific Advisor. The founder and president is Carly Abramson. Her father, Andrew Abramson, is Treasurer. For more information, call (973) 471-CBCF (2223), e-mail info@curebreastcancerfoundation.orgor visit www.curebreastcancerfoundation.org.